As we all know, various vehicles are driven on the roads in our daily life, so here comes a consequence of complexity of driving conditions.Obviously, brake times are increased during transportation. How to brake correctly are key points I want to get reminds of drivers. The ability of light brake for the long distance is not to give the passengers a shock sensation . The premise condition is that to accurately know traffic condition and road condition of the front direction.The first step is to release the accelerator pedal and then hold the brake operation according to distance and speed. 2.Don’t keep on the brakes all the time. The batch truck is easy to lose the center of gravity, so it should be carry on the brake to reduce the speed before entering the curve. 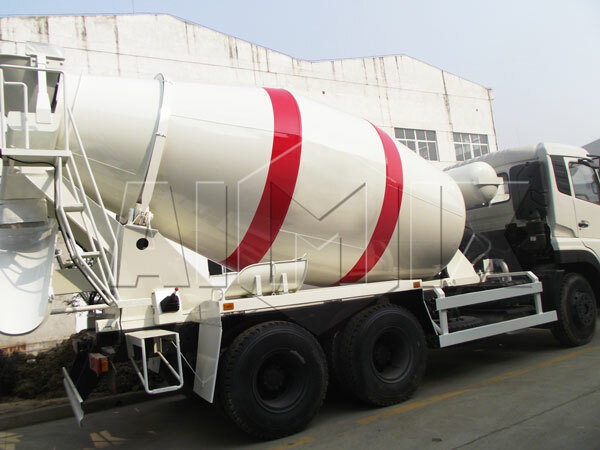 Before totally stop of mobile concrete batch truck, drivers can loose once operation of brake and then press the brake slightly many times until the vehicle stop. This method of brake can reduce impact to ease the discomfort. 3.The long downhill road brake. Using braking system for a long time will affect the braking performance due to the heating. So, according to road conditions, drivers can choose transmission in gears of 2, 3, L (automatic wave). Drivers don’t step on the accelerator pedal by using engine braking to control speed of mobile concrete batch truck for sale. 4.Brake on dirt road or floating sand road. Taking steps of brake on dirt or float sand pavement, there is still a risk. In either the country roads or asphalt pavement in the city , because on both sides of urban roads may be accumulated some soil or sand , in this circumstance , drivers of batch truck must be careful to use the operation of emergency brake. 5. Emergency brake on rainy days. Use emergency braking when driving on a rainy day, even though the vehicle is basically equipped with ABS. It is recommended to use emergency braking when driving on a rainy day. We Aimix Group, as one of the largest concrete truck mixer wholesales in China, you can choose us to help you achieve your business dream on concrete.